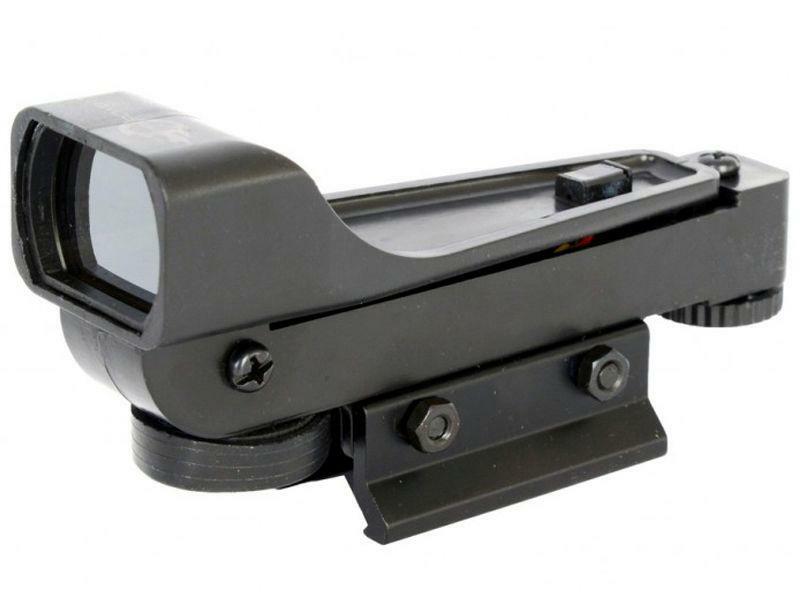 Cybergun Universal Red Dot Sight |ReplicaAirguns.ca | Easter Weekend Sale! Comments: The battlefield requires quick adjustments on the go, and this Cybergun Universal Red Dot Sight allows for fast aim modifications. Front and rear notches can adjust for wind and elevation changes to fit your needs, while the coated lens prevents against distracting glare. Includes two batteries.